TODAY’S modern kitchen is all about the efficiency, sleek design, and functionality of your appliances. As most of us spend some time and effort preparing meals for the family, it is important to find the right cooker that can address your very specific needs. 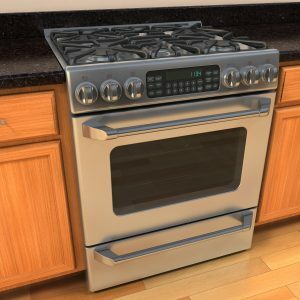 To help you find the right choice, we have, listed some of key things to consider when buying a new oven. The oven size you choose will largely depend on finding the right oven for your kitchen. How much space you have available in your kitchen. Most ovens are between 27 and 30 inches wide, so think about the size that would work best for your kitchen design. Look at the interior oven cavity space as well as the exterior measurements to make sure it will accommodate your most commonly used pans and baking sheets. You’ll need to decide whether you want to install a wall oven or if you want a range unit that combines the oven and cooktop. Wall ovens usually have less cubic space than range ovens, so take that into consideration when choosing the size. Depending on their placement, wall ovens are often more convenient for inserting and taking out food because you may not have to bend over as much. In addition, having a separate cooktop opens up space below for cabinets. However, you may want a range unit if you have limited space in the kitchen. You’ll also need to consider the “landing space” on either side of a potential range placement or near a wall oven for placing hot items. If you choose a wall oven, you’ll have the option of installing double ovens. What is a double oven? 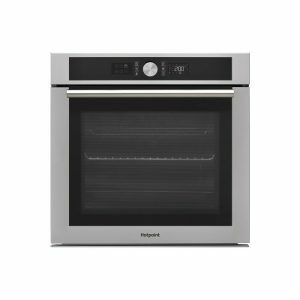 It’s simply, two wall ovens that have independent heat and feature controls that enable you to cook different dishes at different temperatures when needed. Of course, double ovens will take up some cabinet and counter top space, so keep that in mind. The main benefit of double ovens is that you can bake or broil separate dishes at different temperatures simultaneously. Another benefit is the additional cooking space that you gain. Both of these advantages can be particularly helpful if you have a large family or if you often cook for large numbers of people (think about holiday meals). Consider how much you cook and how often you actually need two ovens to decide if the extra expense of double ovens would be worth it for you. Few people enjoy cleaning ovens, but opting out of the self-cleaning feature can save some money. However, because self-cleaning ovens often have more insulation, they tend to keep the heat in better which may save on energy costs, potentially helping to offset the added expense. Stainless steel ovens have been all the rage for several years, and before that black ovens were very popular. White or ivory ovens are common choices, especially for kitchens with light-colored cabinets, and decades ago, avocado green and harvest gold were stylish oven and appliance color selections. Metallic finishes, like gold and copper, are gaining in popularity today. 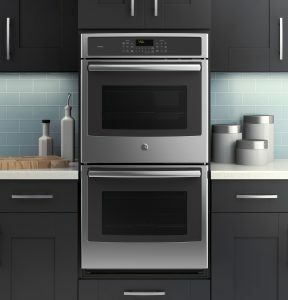 When considering the color choice for your oven, it’s usually best to coordinate the color with those of your other kitchen appliances such as the refrigerator, cooktop and dishwasher. Also, think about your kitchen cabinet finishes as well as your countertop, backsplash and floor colors. If you have an open kitchen plan, think about complementing the colors in adjoining rooms, too. Think about the existing power connection and whether installing a gas line is an option. 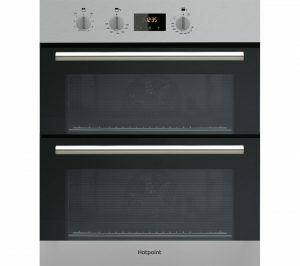 Wall ovens are generally electric, but ranges come in both electric and gas models. Whatever type of oven you choose for your kitchen, remember to read the manufacturer’s instructions carefully and always operate it as recommended. Clean any spills or food residue as quickly as possible, and use an oven thermometer occasionally to make sure the oven is heating accurately. Inspect the oven gasket periodically to check for signs of wear and tear to help ensure that heat is staying inside your oven where it belongs. Keep your home warm this winter! !